The are we done thread is getting a little long so I figured I’d make another general thread. 2019 really looks like it could be special. I saw an article about Cassius Stanley staying open where his dad talked about how they were taking a different approach to recruiting and that they want the school to be a “respectable institution”. KU was mentioned along with USC, OU and UT as the schools on him hardest. Then a fairly knowledgeable KU poster makes a thread and says that he heard from a colleague in the LA area that Stanley and his dad both like KU quite a bit. For those unaware this kid is absolutely an NBA talent. Top 10 in a strong class. 6’5’’ 180lb guard. It’s going to be tough to get Stanley out of LA, especially with the run USC has been on (probably not all above board.) I think for 19 we take four or five guys, since we’ll need to replace Grimes, Vick/Langford, Dedric, and probably Udoka. Outside chance Dotson is a OAD too. So far, it looks like Zach Harvey (Topeka Hayden product) really likes KU. A good friend of mine who coaches in Hayden’s league says he has a ways to go to put it all together, but he has a chance to be an absolute stud. Zach already plays a lot like a PG, but needs to become a better all-around player, especially as a shooter. Stanley may be an option, as well as RJ Hampton (5* 6-4 PG from Texas). He’s 2020 now, but probably could reclassify if he keeps his nose to the grindstone academically. A lot of folks forget, but we also have Markese Jacobs committed. I think he also has a ways to go to become a true PG, but that’s not unusual for a HS junior. As far as bigs, Chandler Lawson and Jeremiah Robinson-Earl are really the only two names to keep an eye on. I’m sure the staff would love a Matt Hurt, but they won’t tell Lawson or JRE no. Each of those guys could pop pretty early for KU. You know KJ and Dedric will keep recruiting little bro if things go well for them here. Marcus Garrett will have the wing spot on lockdown for the next 3 years (like he does the rest of the Big 12) so don’t look for a ton of action at the wing. 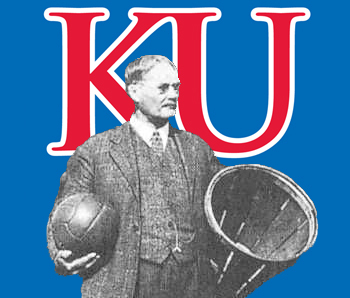 Along with Stanley, I know KU likes Malik Hall out of Sunrise in Wichita and Samuell Williamson from TX for depth. Numbers will dictate whether KU takes either of them. 2019 is kind of a luxury class. The starters will be pretty much set (Dotson, Moore, Garrett, Silvio, McCormack) but we can upgrade at the 2 and 5. Wouldn’t be surprised if we ended up with something like Dotson, Harvey, Garrett, JRE, De Sousa. That’s another potential title team. @FarmerJayhawk Agree strongly about USC. RJ Hampton is an exciting player and I hope he ends up at KU. I think he makes more sense in the 2020 class though. Overall very solid analysis. I think a class of Jacobs, Harvey, JRE, Lawson makes the most sense. Add another player for depth if needed depending on the scholarship situation. I agree. I’m also not convinced he plays a minute in college. OAD may be toast for the class of 19, in which case, A LOT of guys that were KU locks may look elsewhere. You’ll have Dook and UK calling up Lawson and JRE since the top 10 guys will be off to the NBA. It also could impact next year’s guys on whether they’re OAD or not. Do you go in the 19 draft where you also have to compete with the top HS guys in that class, or wait? I hope Cal just hangs em up when OAD goes away. Seriously though I would hope KU could hold on to JRE. @BShark I could see him bolting for the NBA then. I still think he gives it one more shot, he’s just waiting for the right opportunity. Not saying KU would lose JRE, but it would be tougher to hang onto him. I don’t see it with Harvey yet but if he’s willing to develop for a few years then he should be a take. Robinson-Earl is in a different league compared to him. I would love to see us land a 6’10-7 foot type in the 19 class. I know we are after Wiseman but he’s a longshot. Hopefully some other bigs pop up on the screen. If we had the need Ashton Hagans would be the PG I would target in that class. Seems like Kentucky has put in work for him though. Stanley is a stud, an absolute want if Grimes is a OAD. Malik Hall should be a take no matter what. Size at the wing position is a great thing to have. Realistically in 2019 we could have 8 guys back. We have Jacobs signed so far. That’s 9. So how do you fill the class up. We will have two small guards (Moore & Jacobs). Dotson, Garrett, Cunliffe, KJ Lawson makes 6 potential Guard/Wings. Lightfoot, De Sousa, McCormack in the post. We could get away with a Robinson-Earl, Harvey, Hall trifecta if the 8 returning have developed. Otherwise I’m sure Self will be prioritizing guys ranked higher then Harvey & Hall to fill out the rest of the class. Unless those two continue to climb the charts. Yeah I’m not surprised he’s dropped some. I view him similarly to Lightfoot in that if he gets into the system and sticks around he could be good in the later part of his career. You need those guys in your system. There will be opportunities for playing time down the road for him especially after his freshman year. We are looking at Cunliffe & Lawson graduating & Garrett will be a Sr if he makes it all 4 seasons here. Of course this is down the road but if we are projecting what players might be joining in our 19 class its important to look at who’s potentially going to be starting/leaving that year. If things go well with Dedric and KJ, I think Chandler is an automatic take. Where he plays is interesting. I think he is skilled enough to be a wing. Probably a mix of the 3 and 4. I’ve really liked Malik Hall’s game from when I first saw KU was recruiting but I’m not sure how he fits in. Someone will have to end up elsewhere. It’s obvious there is interest both ways here, as he has visited multiple times. Then you factor in Jalen Wilson who KU offered recently and is really good. Also you take him 100% if it gets you RJ Hampton. Could KU add 3 versatile wings? That seems like a tough sell but who knows. I don’t think we add a true center type. Going to battle with SO (JR?) De Sousa and SO McCormack is probably fine though. Then a mix of JRE/KJ/SR Mitch at the 4. I’m interested to see how this all shakes out, but it’s pretty far off for now. What’s everyone’s general opinion of the 19 class so far? I think it lacks star power right now but has more post depth then the 18 class has. The Top 10-15 in the 2018 class are rock solid and I don’t see that with this 19 class just yet. Of course we are talking kids that are just now becoming Jr’s but usually by now there are a few standouts and I’m not sure really anyone has separated themselves at this moment. Yeah Chandler is someone that we have to give a long look based on the family. There isn’t a ton of video out there on him but his early stuff looks like he has a while to go before becoming a finished product. He feels like one of those Kentucky athletes that has no clue what’s he doing yet. But you take him because he’s got a ton of potential and with what we should have back he won’t be forced into a pressure situation. Forgot about Wilson. Another good wing we have a chance with. I prefer Hall a little more from what I’ve seen of both to date. Robinson-Earl if De Sousa’s timeline is less then 4 years we are talking our Starting PF by Soph year. Will be interesting to see how this class shapes up. A big positive is we are already looking ahead instead of being consumed with 18 kids still. Yeah what a fun feeling. I see JRE as immediately being the #3 post player in the rotation. Maybe even starts next to De Sousa depending on McCormack’s development. Harvey is in an interesting situation. He’s a good player, but the HS he goes to doesn’t do a great job of developing guards. The only hope is that his AAU team can help him develop more as a guard, because I don’t think he will get much from his HS coaches. As a result, it’s hard to prioritize him if you’re KU, even though he is a Kansas kid. He probably won’t be as far along as some other players in different situations, so the choice is to take a kid that might need an additional year (a tough sell for a 6-4 player) of development, or take a kid that’s a bit further along on the development curve. His HS doesn’t run a lot of PnR or drive and kick type of action, and those are the two areas he needs the most development work on. Maybe that changes this season for him. I haven’t seen any reports yet, but I think he’s only played once so far this season. @BeddieKU23 I’m not really sure how others feel 100% BUT me myself , I really want Robinson Earl. - -To me from the high lights I’ve seen he looks pretty aggressive , I like that - -I want that - -aggressive guys. - just like his game. @jayballer54 You have nothing to worry about with JRE. He could very well make it official this year. He is a top priority. The KU staff will be over to watch his game on Friday. @BeddieKU23 It’s the worst kept secret around local AAU ball. There is also waiting to announce so that your team mates get looks. That’s definitely a thing that happens sometimes. We should get acquainted with this kid’s game. He likes KU a lot. There is a chance both these players are Hawks. Williamson had 31 and 15 in this game. He will continue to climb the rankings imo. Of note: Creighton and Missouri both had their head coach at Zach Harvey’s last game, KU didn’t have anyone there. I think Creighton might be a very legit option here. 11 in black was nice and 13 was okay, but the rest of the team were scrubs. It would be hard to evaluate top talent. It’s easy to see who is d1 talent on the court, they stick out. It’s figuring out how they stack up against each other while they are playing inferior talent. Kinda like KUs early schedule. Ranked 2 and blowing everyone out until the talent gap is less, then you get to see what you have. I’m really beginning to wonder how much interest KU has in Harvey at this point, I used to think he was a lock, but I’m beginning to think maybe more interest on his part and not KU’s part. Maybe I’m not right but you know what - I wouldn’t be just big time devastated if Zach ended up somewhere else. I mean ya a Kansas kid - -good talent - -even more a hometown kid, same city I’m in BUT I rally think we are going to be fine at that position in 2019 and like I stated when I noticed I believe - -it looks like he has slipped some in the rankings To me it just isn’t the same type of scenario as if we wouldn’t of ended up not landing Devon - -we hadn’t landed him - -THEN I would of been crushed- -not the case with Zach. Yeah, 11 is Sam Williamson, KU legacy. The kid can shoot it for sure. The white team has much more D1 talent. Devion Harmon is a top 50 recruit this year who is committed to OU. Of course Jalen Wilson, a top 50 talent next year that KU is recruiting. They also have a 2018 post player who is committed to Georgetown. Sam really showed out this summer against better competition. He went from his offers being the likes of Incarnate Word, Abilene Christian, UTSA etc… to being offered by KU, TAMU, LSU, TCU, OU, Marquette. @jayballer54 What Harvey has to weigh is likely starting immediately at somewhere like Creighton vs probably taking a development year in his first year at KU. @BShark Ballock kid is doing great. Hi bb iq, more athletic than I knew, shoots well. I was hoping he’d pick KU. KU definitely wanted him, but he felt he would play more at Creighton early on! Memphis East is ranked # 1 now and both of the younger Lawson’s play on it Chandler and Johnathan . - - Plus James Wiseman also plays on Memphis East - -kid is a monster. - come to find out Penny Hardaway is the Coach of Memphis East - how cool is that? @jayballer54 East Memphis PG Alex Lomax is signed to play at Wichita next year. James looked like a man playing against boys. Rebounded and dunked at will. 6’ 11" and shoots a pretty good three. He would look real good playing with Dave and De Silvio. Probably a very long shot for that possibility with the Lawsons in play also. @jayballer54 Travis Ford still at St. Louis? @Big-Clyde52 saw them play last year once, huge step down! @jayballer54 On second thought, if Dedric only stays one year, maybe Mr. Wiseman could come in and play with Dave and Silvio. Would we rather have Wiseman or Hurt? Either one would be fine with me. Wiseman is being heavily pursued by Kentucky. KU should get a visit too hopefully if he makes it that far. I’m going to summarize our chances with Wiseman in one word: SWOOOOOOOOOOOOOOOOOOOSH. But maaaaaybeee we get one of his free visits??? Wiseman has few challenges in HS. There’s a good chance he ends up the #1 kid in his class. Probably. Fortunately I don’t think it really impacts anything. So not a situation where staying in with him would hurt with JRE or Chandler.